If you follow me on Instagram, you might have noticed a bit less CrossFit in my Stories. I know. It’s a big change for me. 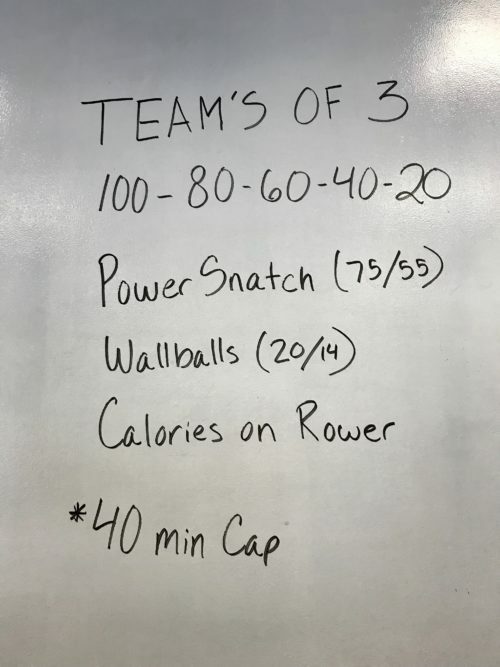 CrossFit is so, so, so fun, and I would do it everyday if my body could handle it. But, sadly, it cannot. So, I’ve decided to cut back and deal with some pretty bad muscle imbalances (due to scoliosis) and nagging injuries (due to old age). 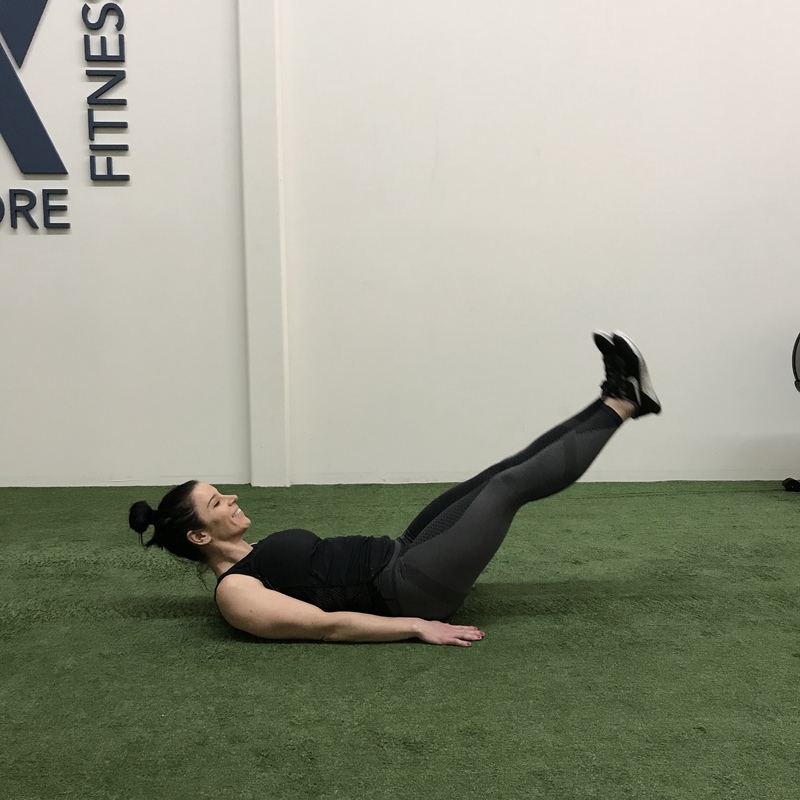 I recently found OPEX South Shore, a local gym that creates customized fitness plans, and we’ve decide to partner up to address these issues. Even though CrossFit is a wonderful, well-rounded functional fitness workout, it’s not tailored to individuals and their needs. Basically, what’s written on the whiteboard is what I do – whether it’s good or bad for my scoliosis. However, in recent months (since going to physical therapy for my back), I’ve paid a lot more attention to the movements and what I’m doing in class (scaling, modifications), but I really need a more individual approach if I want things to improve. 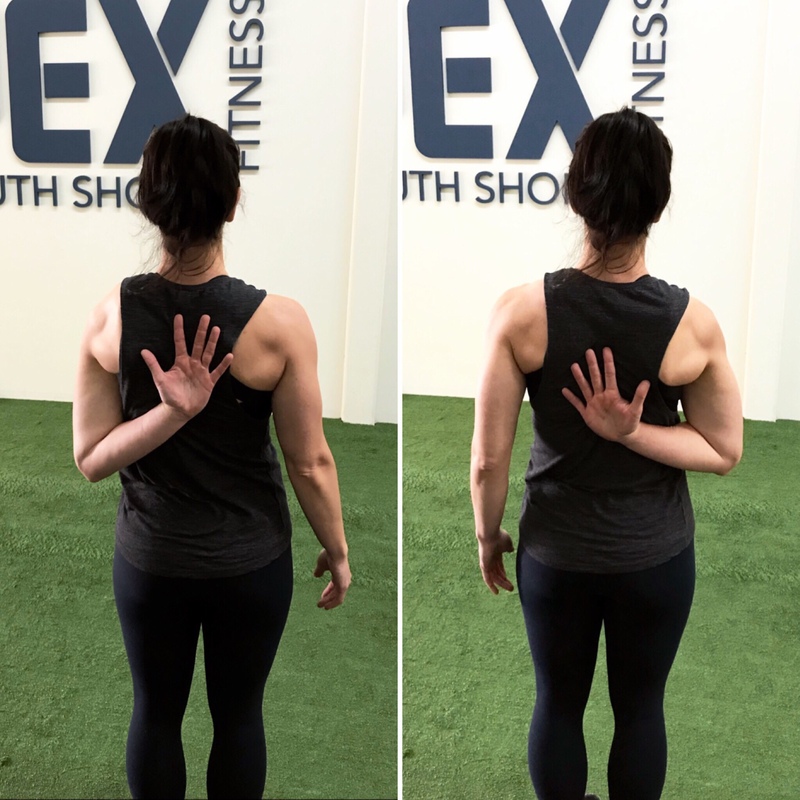 A little backstory on OPEX… I initially heard about them after my friends Marisa and Jeff did an InBody assessment with them at the Lululemon in Hingham. (FYI: OPEX is there once a month offering free assessments.) They said it was really cool and explained how InBody is one of the more accurate measurements of body fat % as well as identifying muscle imbalances, which, of course, immediately caught my attention. In recent years, my muscle imbalances have gotten worse and worse. It’s likely a combination of old age, CrossFit, running, not stretching, pregnancy, sitting at a computer all day, and a whole bunch of other factors. But, at the end of the day, it’s not getting any better – and the last thing I want to happen is for it to get worse. In the last year or so, I’ve also had a lot more annoying injuries (hip, back, calf), which are very likely related, so it’s time to deal with them. 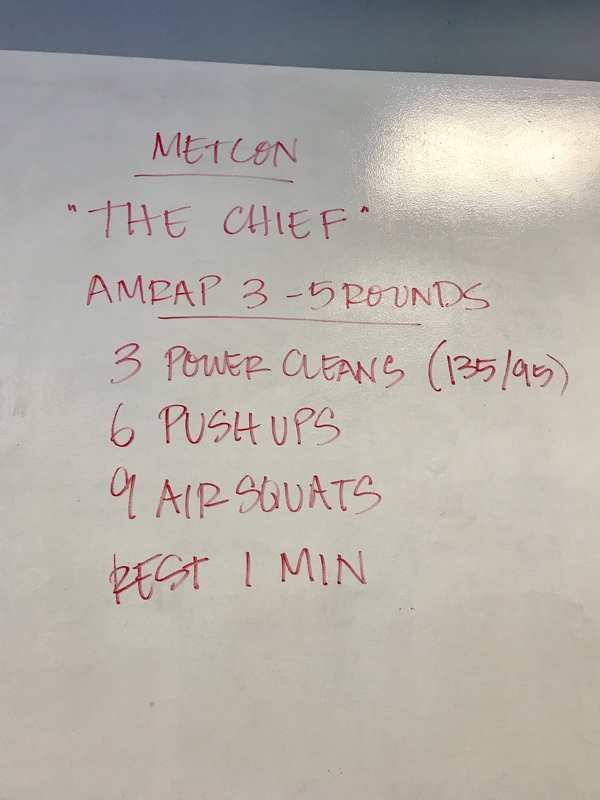 Last week, I had my fitness assessment at OPEX, which was three 60-minute sessions and much more comprehensive than other ones I’ve done in the past. 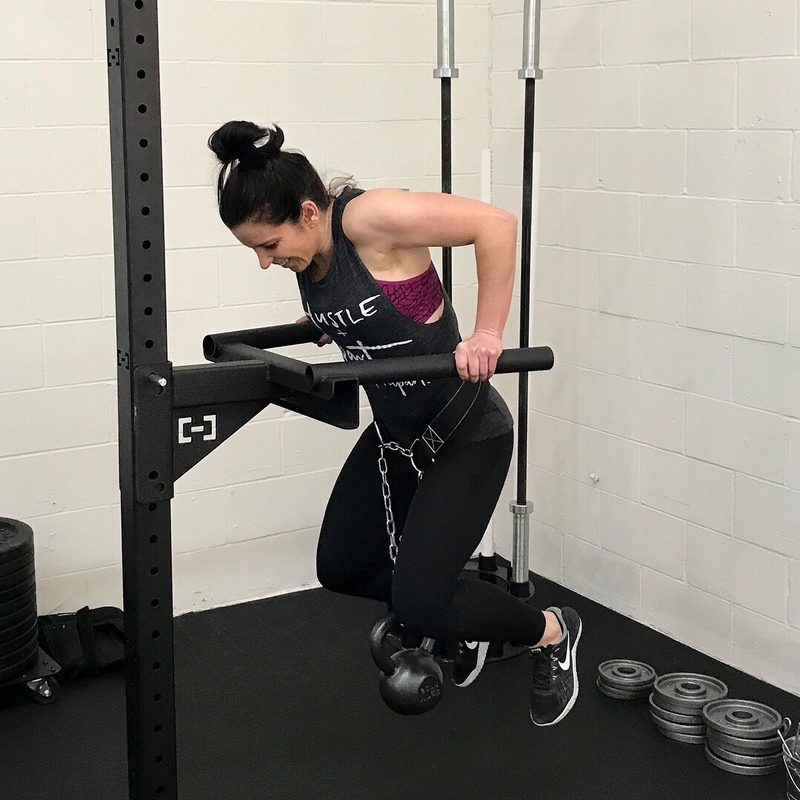 We tested all sorts of strength movements (squat, pull/push, overhead), blending, flexibility, and cardio capacity in order to establish a starting point for my personal fitness level. Plus, my coach wants to get the full picture with regard to my muscle imbalances. Let’s just say, I’m quite the case study with all sorts of weird active and inactive muscles! So, there’s life after CrossFit, and I’m excited to get started and find a fitness regimen that truly works for my body. I’ll still pop into CrossFit once or twice a week (I can’t miss Saturday “gym days”! ), but the majority of my workouts will be at OPEX. Keep a look out for updates in the coming weeks! 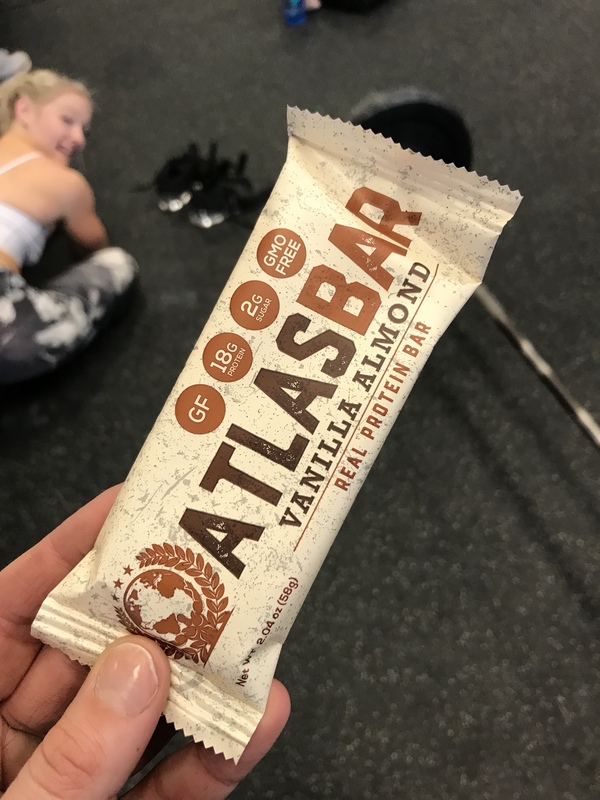 Atlas Bars – I think I already gave these bars a shout out on CNC, but here’s another one! They’re made locally in Duxbury (but you can get them on Amazon), and they’re frickin’ delicious! I love that they’re made from simple ingredients and high in protein. And rumor has it there’s a new peanut butter flavor – obviously, I need to try it ASAP! 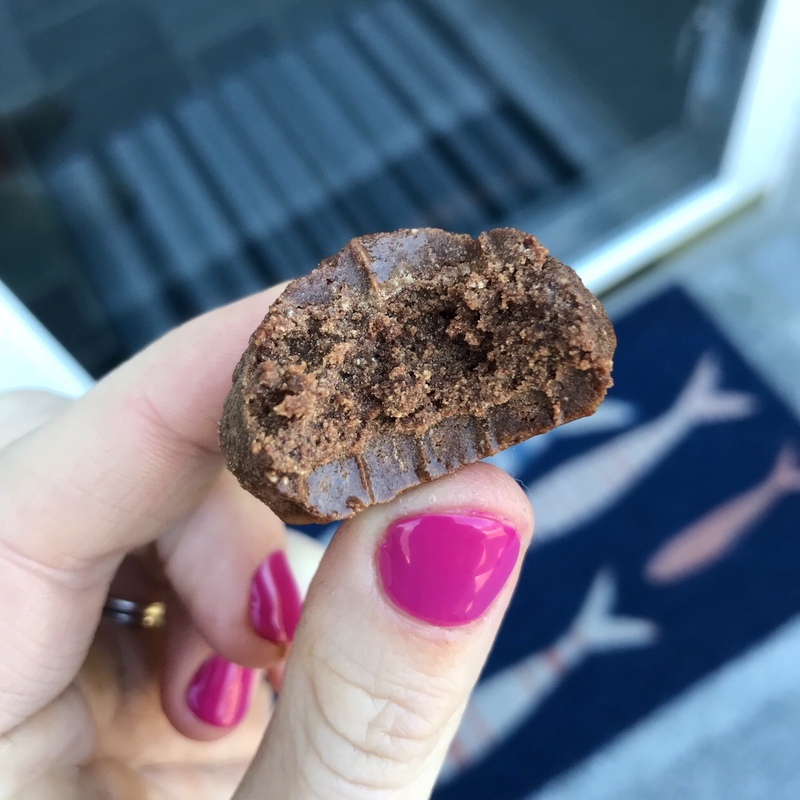 Chocolate Protein Balls – So damn good! I feel like these babies need their own recipe post! 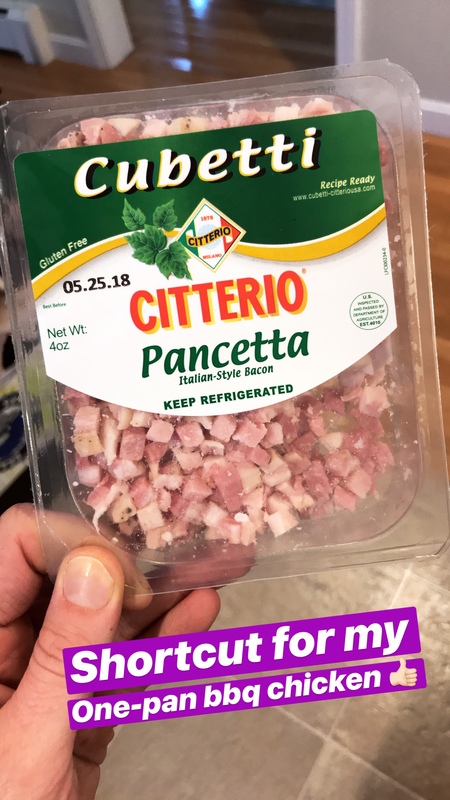 Great shortcut for my One-Pan BBQ Chicken – Instead of chopping up bacon, use cubed pancetta! Afternoon snacks don’t have to be boring! I recently started eating smaller versions of my lunch as a snack to keep me full until dinnertime. It works out well because it’s typically much more nutritious and satisfying than what I typically reach for. 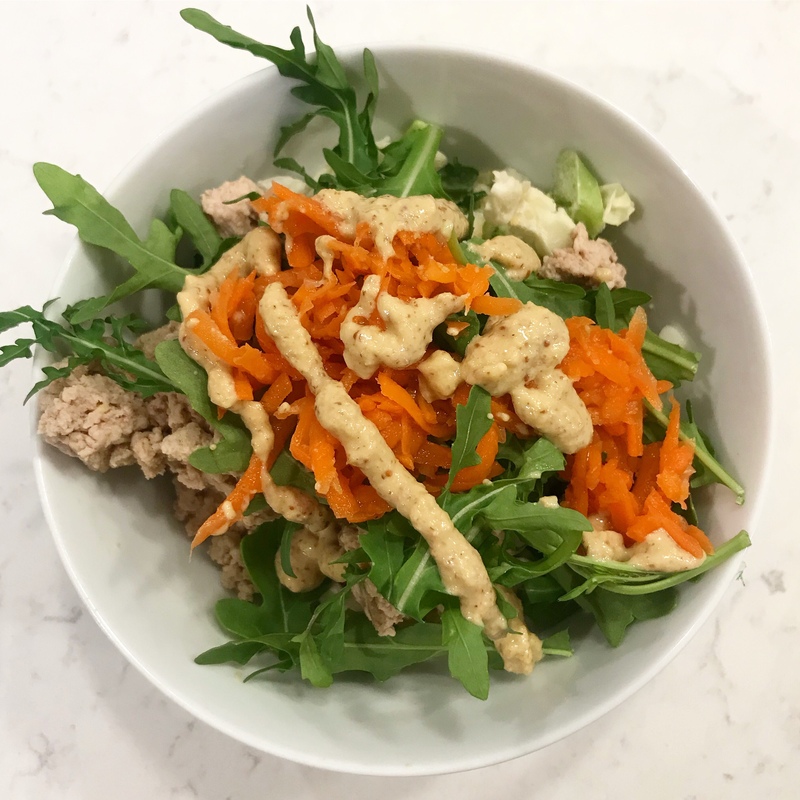 On the snack menu: Arugula topped with ground turkey, orange ginger fermented carrots from Farmhouse Culture and Annie’s horseradish mustard. Mmm, so many awesome flavors and textures! 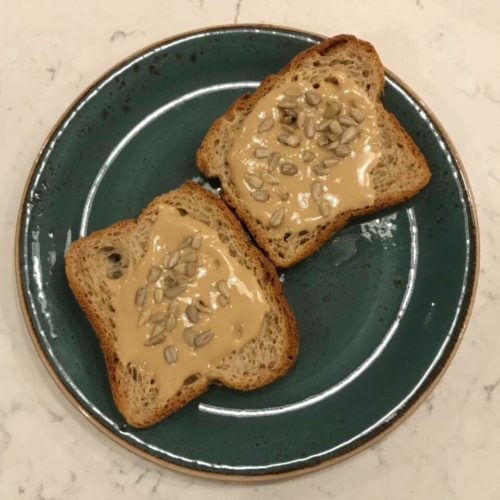 Seeds on seeds – Loving this easy breakfast of tahini on toast with sunflower seeds! 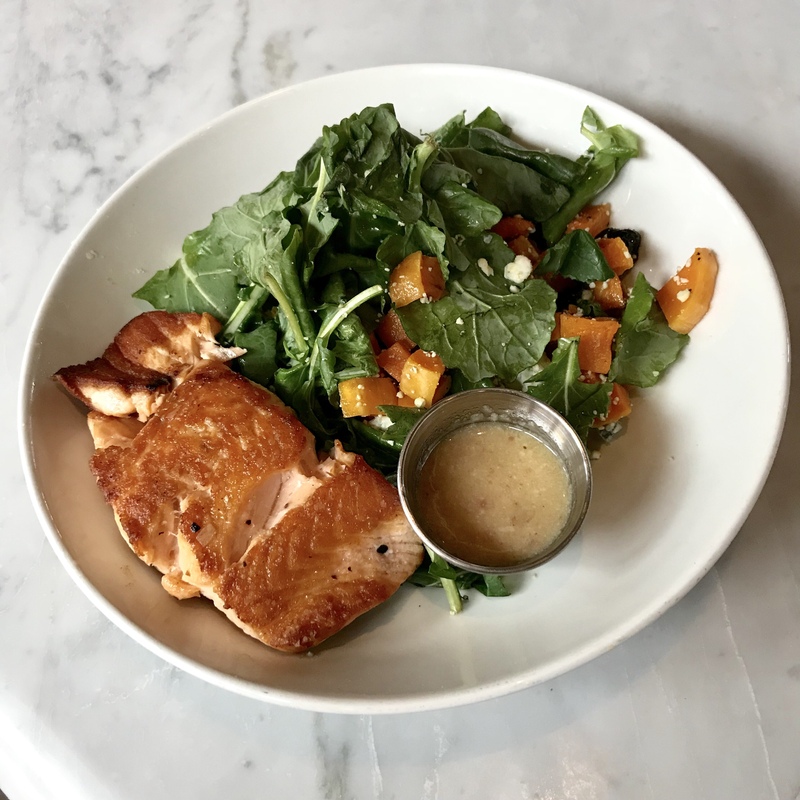 Zucca Salad from Novara – Listen to this combo: roasted butternut squash, gorgonzola, dried cherries, baby kale, and bacon shallot vinaigrette! It was so delicious and definitely a combo that I want to recreate at home! The post 4/22: Fitness & Eats + Why I’m Cutting Back on CrossFit appeared first on Carrots 'N' Cake.